KUALA LUMPUR (Oct 17): Datuk Raymond Chan Boon Siew is no longer a substantial shareholder in Harvest Court Industries Bhd, having sold 3.7 million shares or a 1.32% stake via an open market transaction on Oct 16, at 21.7 sen a share. Chan had been in the news due to the tussle for control of Harvest Court, between him and fellow Sabah businessman Datuk Eddie Chai. The latter had emerged with a 20.95% stake in the company earlier this year through Zenith City Investments Ltd, which remains Harvest Court’s biggest shareholder. Chan was ousted as a director during Harvest Court’s annual general meeting in June, but has remained its chief executive officer. His ouster was believed to be due to Chai’s faction voting against his re-appointment to the board. 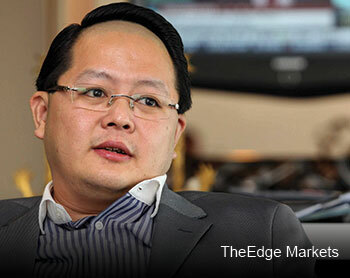 The war between Chan and Chai erupted in as early as May when Chan, through a Harvest Court’s announcement to Bursa Malaysia, alleged that Chai had told him that he [Chai] controls 33% to 34% of the company and was attempting to circumvent the mandatory general offer requirement, a claim which was vehemently denied by Chai. The tussle escalated further in July when Harvest Court decided to take legal action against Zenith, Chai and 32 others, which the board had claimed held 33% or more in Harvest Court. Meanwhile, Chai, through Zenith, had sued Harvest Court and the directors, over the statement the company made to Bursa Malaysia that had carried Chan’s allegations. Harvest Court’s suit against Chai and 32 others was struck out by the Kuala Lumpur High Court on Aug 28, but the suit filed by Zenith against Harvest Court is still ongoing. Harvest Court shares closed at 21.5 sen today, with a market capitalisation of RM60.4 million, a figure that is significantly lower than what the company was worth in 2012. Just two years earlier, Harvest Court was in the limelight with the appointment of Prime Minister’s son Mohd Nazifuddin Najib as a director in October 2011. Mohd Nazifuddin had subsequently resigned in November 2011, barely a month after being appointed. But Harvest Court’s shares continued to surge to as high as RM1.50 in late 2012, before it began its downfall.